What is a philosophy of peace education and why is it important? Sue McGregor explores these questions and describes six Prospective Philosophical Foundations of Peace Education in her article from In Factis Pax, a peer-reviewed online journal of peace education and social justice. Knowing one’s philosophy of peace education and being able to article it is essential for teaching with integrity. McGregor states, “Educators who live life without a philosophy tend to act out their opinions without examining them, which is an untenable approach for peace educators.” We all bring philosophies with us into the classroom whether we are aware of them or not, so it is best to know what we are carrying. 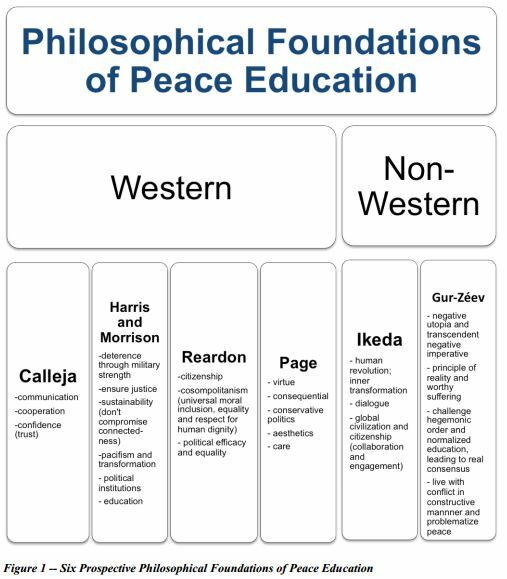 McGregor divides the six philosophies into “Western” and “Non-Western” categories and highlights the need to challenge philosophies of peace education “developed in Western countries and then projected onto the wider world.” Several of the philosophies she presents critique dominant views of peace education and offer alternatives. In considering McGregor’s article from a Christian faith perspective, the question arises as to which philosophies align with the beliefs, values, and practices of Christian language teachers and learners. Is there one dominant philosophy? Or do Christian language teachers draw from a range of the six philosophies or more? In any case, McGregor’s article draws helpful attention to this foundational aspect of peace education theory and practice.